Accidents do happen, and it happens anywhere and anytime. Some accidents happen out of mere carelessness and some others happen due to ignorance. This is one such accident that happens in Kottayam, Kerala was a Mercedes Benz C220 gets T-boned by a government own bus. The driver of the car was about to turn his vehicle to the right as he had to enter a petrol pump (gas station). It was then the car gets hit by the bus. 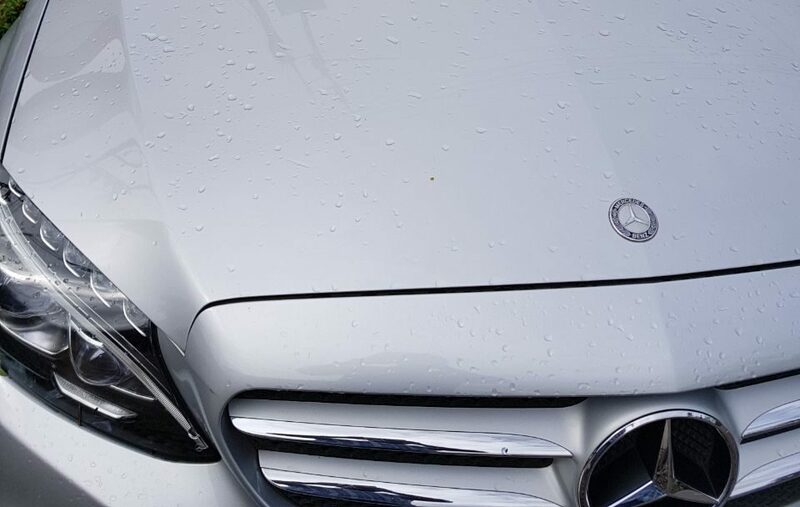 It was raining heavily and these pictures are viral in social media and people are now praising the build quality of the car. When everyone appreciating the quality of the car and cursing the bus driver, some people found out what really caused this accident. It was just because of a mere negligence or ignorance from the car driver that caused this accident. The CCTV footage from the gas station shows that the car was running ith hazard indicators turned ON. It is a common scenario in Indian roads, were vehicles run with hazard indicators turned ON during rainy climate. Most of the drivers still do not know the purpose of such lights and they use those lights for going straight or even use them as an alternative for fog lamps! 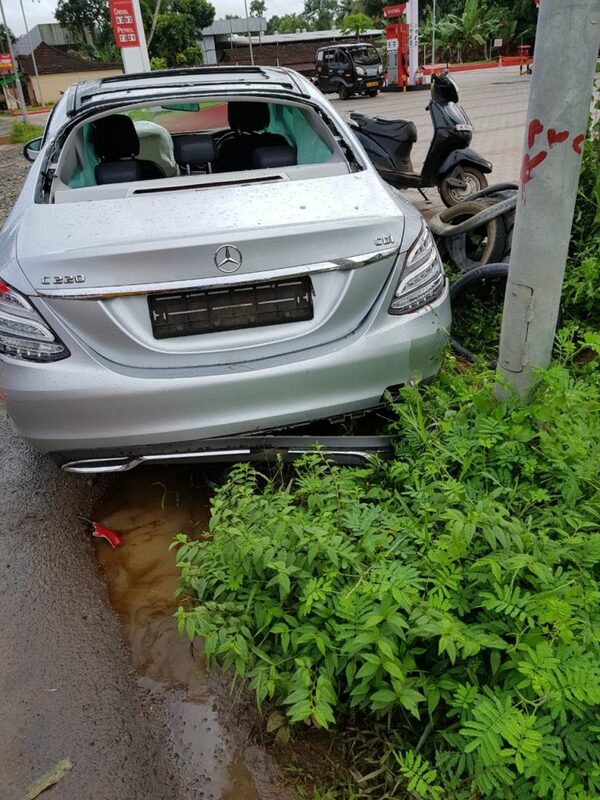 The driver of this Mercedes Benz c220 probably didn’t know the purpose of the hazard indicator or he might be in some emergency and forgotten to turn ON his indicators while turning to the gas station. The driver was confident that he would get into the gas station before the oncoming bus arrives. But, another car exiting the gas station made his calculations wrong. 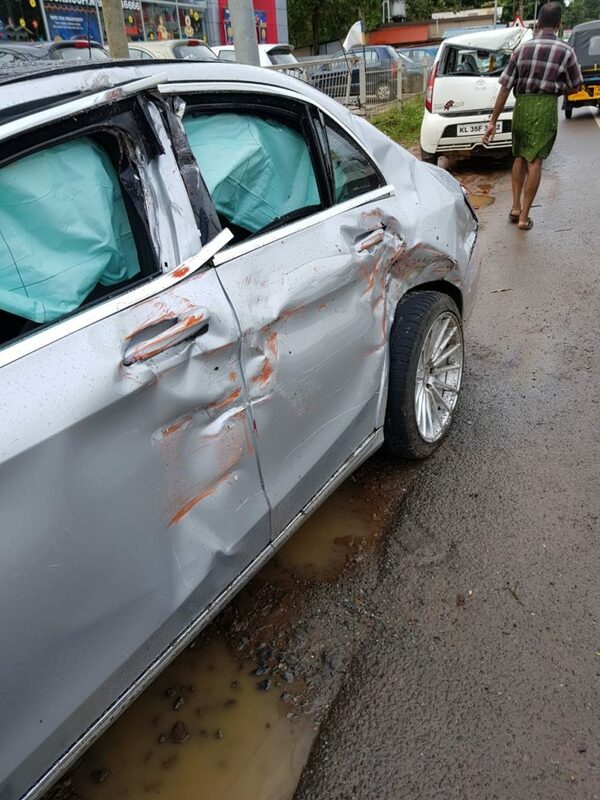 Luckily, no one in the car got injured as all the 7 airbags deployed on time and of course, the build quality surely saved the passengers.